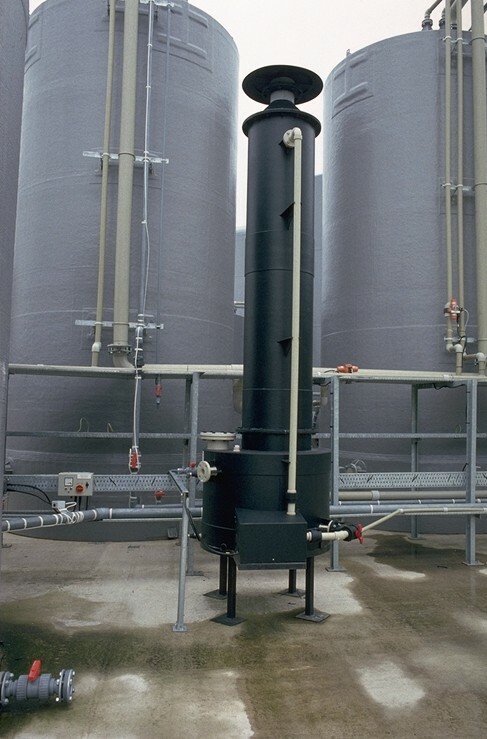 An economical range of standard bulk tank vent scrubbing systems. 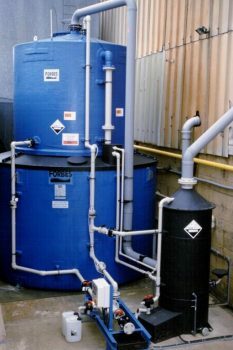 They have been designed to minimise environmental nuisance from the static storage and handling of fuming chemicals. 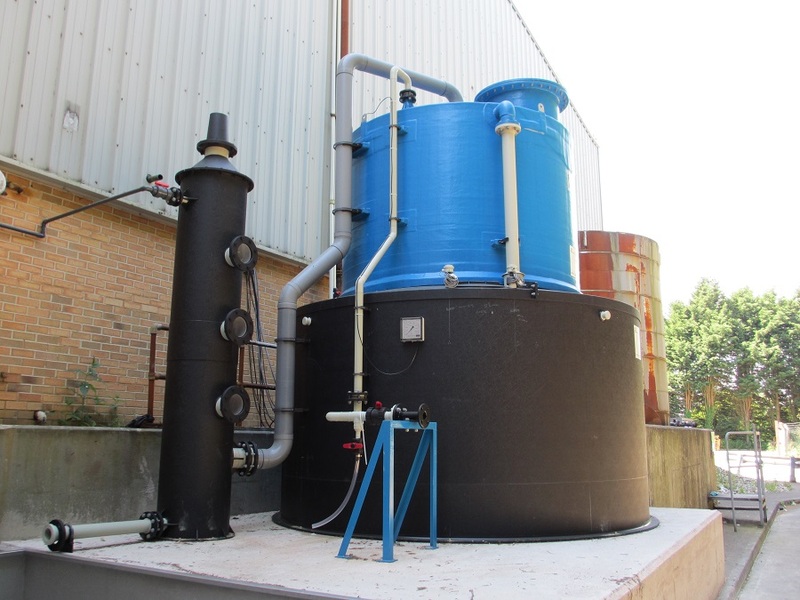 Fabricated from all polyproplyene (PP) construction, each scrubber model is available either as a ‘once through’ type or ‘recirculation’ type. Each scrubber unit is issued with a comprehensive installation, operation and maintenance manual. Standard recirculation units are fitted with magnetic drive, seal-less, low maintenance pumps. 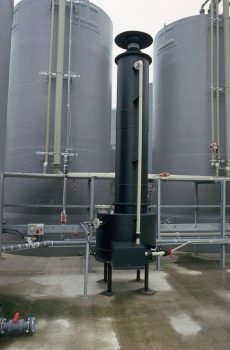 All scrubbers can be supplied with an adjustable control timer unit to intermittently activate the scrubbing liquor circulation to keep the scrubbing media wetted during static storage conditions. 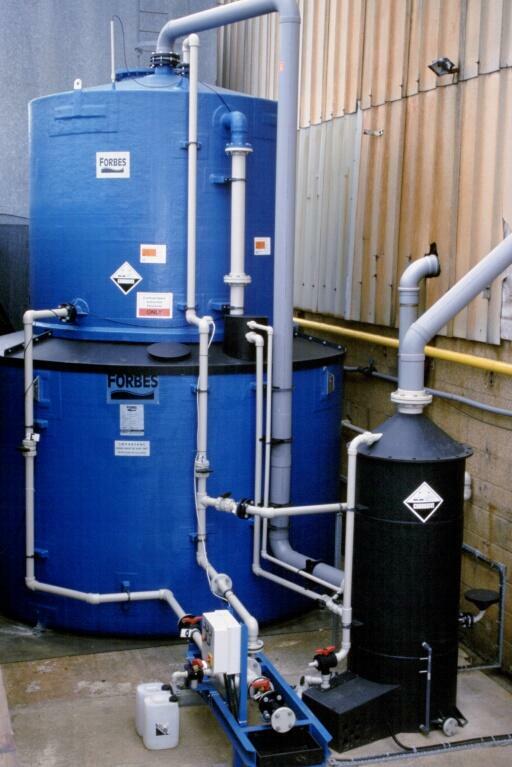 Once through models are where water is used as the scrubbing liquor – producing dilute solutions which may in some instances be disposed of through the site drainage system subject to the normal approvals. Models suffixed with the letter R incorporate an integral sump tank with recirculation pump, facilitating the use of neutralizing solutions as scrubbing liquors (e.g. caustic for hydrochloric acid fumes). The scrubbing liquor needs regular monitoring and careful disposal. Designed for pumped discharges and static storage only. For gas flowrates up to 2m³/min. It is NOT intended to handle the high volume of fumes produced during deliveries above 7 PSI from air pressure tanker discharge or pressurised Flo-bin system. Designed for pumped discharges and static storage or pressurised Flo-bin (IBC) pump-over type deliveries. For gas flowrates up to 4m³/min. Designed for pressurised tanker deliveries and static storage. For gas flowrates up to 25m³/min. Applying high-efficiency technology these scrubbers are designed to cope with the surge of ‘pad air’ at the end of a large volume pressurised tanker deliveries up to 30 PSI.